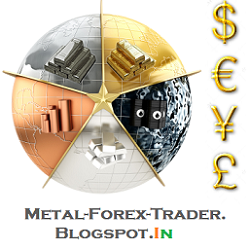 Commodity Trading News And Technical Analysis Reports. : World Aluminium Conference, Duty-paid aluminium premium breached $400 per tonne for the first time in its history this week. World Aluminium Conference, Duty-paid aluminium premium breached $400 per tonne for the first time in its history this week. Bauxite export restrictions might put upward pressure on aluminium pricing. Scrap traders are familiar with resource nationalism when it takes the form of export bans and restrictions on scrap metal leaving a given country. Those in attendance at the 2014 CRU World Aluminium event may have been sympathetic to similar restrictions facing the mineral ores sector. Sola Adebiyi, a senior consultant with London-based CRU, provided an update on bauxite ore export restrictions affecting the global aluminum market. The bans may ultimately exert upward pressure on the price of aluminum, according to Adebiyi and her colleagues at CRU. The bauxite ban with the greatest current and potential affect is Indonesia’s near-total export ban, which went into effect in January 2014. The aim of the ban, said Adebiyi, is to attract major new capital investments in smelting and refining to Indonesia and to create jobs in the country. According to Adebiyi, in recent years from 70 percent to 80 percent of China’s imported bauxite has been shipped from Indonesia. The 80 percent figure in 2013 occurred in part because Chinese aluminum smelters imported stockpiles of Indonesian bauxite in late 2013 to prepare for the export ban. Adebiyi said those stockpiles are likely to reach their end in the third quarter of 2014 if Indonesia does not lift or alter the terms of its export ban. Among the alternative sources of bauxite for Chinese smelters is India, but that nation has enacted a 10 percent tariff on bauxite. Chinese companies are likely to turn toward Australia, Guinea and even as far away as Jamaica for bauxite, although importing from each of those nations involves higher shipping costs. Adebiyi’s CRU colleague Michael Insulán said buyers in China’s Shandong Province have already been paying $80 per metric ton for bauxite ore delivered from distant ports, some $20 to $30 per ton higher than buyers with more favorable shipping routes. In another World Aluminium event session, CRU’s Colin Pratt said the bauxite export bans “probably won’t do the economies of these countries any good, but it could do the aluminium industry some good.” The bans and tariffs could help to balance the primary industry’s overcapacity situation and exert some upward pressure on the price of aluminium, which would be welcome news for scrap dealers as well. The 2014 CRU World Aluminium event was at the JW Marriott in Hong Kong May 19-20. Duty-paid aluminium premium breached $400 per tonne for the first time in its history this week.